No two days are alike on Maui. When you join our snorkel tour, we’ll take you to the spots with the best snorkeling that day. The No Ka Oi is a 40′ adventure boat custom designed by Captain Doug specifically for snorkel tours. With room for 26 but limited to 18, you’ll have plenty of room. Plus, with an extra crew member, you’ll always have a lifeguard in the water. Snorkel in one area then drift to additional spots nearby with our crew guiding you. Seafari™ really makes your trip a unique adventure! We’re proud to be family owned and operated. Our crew members love to put the Aloha in every adventure. With room for 26 but limited to 18, you’ll have plenty of room. Plus, with an extra crew member so you’ll always have a lifeguard in the water. Snorkel in one area then drift to additional spots nearby with our crew guiding you … it makes your trip a unique adventure! Join us in our commitment to reducing our impact on the environment and being the best stewards of ocean life that we can. Our Boat, the No Ka Oi (“The Best”), is a 40′ adventure boat custom designed by Captain Doug with safety, comfort and fun in mind. We named her No Ka Oi because she truly is the best boat for an adventure snorkel on Maui. You won’t find another boat like this anywhere. 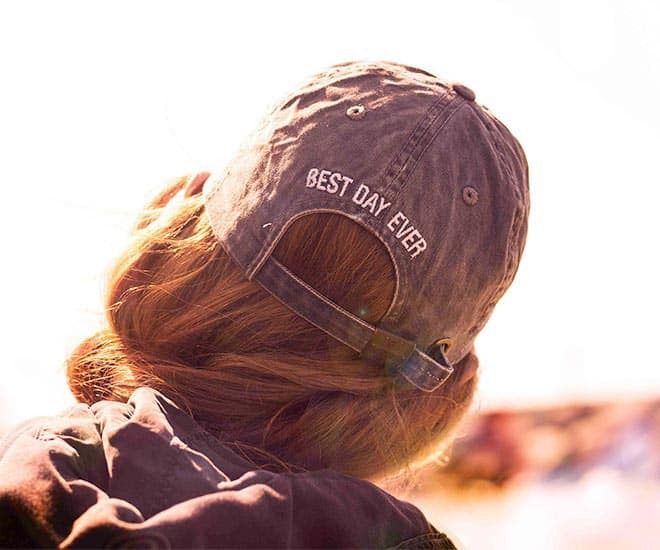 Water enthusiasts with a wide array of knowledge and experience, we focus on safety, comfort and fun and do whatever we can to ensure you have the Best Day Ever! This is our third trip with Maui Snorkel Charters. Doug, Trish, and Mandy are so knowledgeable and friendly. They go out in the water with you and point out different fish and the turtles. The food is great and the snorkeling is superb. They will,take you on 4-5 different spots and weather permitting the backside of Molokini which has amazing views. Mandy, Kiki and Captain Doug promised us that this morning would be THE BEST DAY EVER and boy, do they deliver their promises! It's my first time in Hawaii and I picked up their flyer off the wall outside of a local restaurant. Little did I know back then that they had the best offer amongst all their competitors even the ones recommended by our hotel. Amazing service. If you are taking a snorkel tour by boat, Maui Snorkel Charters is the best available. New boat. Friendly crew. Great masks. We went out the morning of January 25 (early part of whale season) and we're able to snorkel with the added bonus of whale watching. We saw about ten humpback whales and calves fluke slapping, fin waving, breaching, diving, etc. Doug, Trish and Crew is absolutely No Ka Oi! We chartered them for a birthday group and it was by far the best experience ever. We visited the back side of Molokini and around to watch Humpback Whales. Do yourself a favor and try them out for the best personal experience. We became familiar with Maui Snorkel Charters when they donated their boat, crew and time to help clean the reef. Great time with great people! Doug, Trish and crew are fantastic. We've been out with them several times and they treat us like family. No other tour I've ever been on caters to the customer like they do. They always seem to find the fish, whales, dolphins, turtles and excitement. Thanks so much for making our day the best ever! We had an amazing time snorkeling with Maui Snorkel Charters! Everyone was very nice, the boat wasn't crowded, and we got to see multiple turtles. We snorkeled 5 separate times along the trip, had muffins, pineapple, and water between snorkels, and had lunch after the last snorkel. I highly recommend snorkeling with this group! If you're looking to go on a snorkeling adventure and want to see the most places in one trip, than look no further. I work on boats and this company is where its at. We stopped 5 times at different locations, where most boats stop once or twice at most. The captain and crew are so friendly and are very knowledgeable about the marine life and areas we stopped. I had been wanting g to do the backwall of Molokini for years and that finally happened with Maui Snorkel Charters. Thanks for the great experience. Maui Snorkel Charters trip out of Kihei boat ramp is hands down the best snorkel trip we've ever been on in over 25 years of coming to Maui. The crew are top notch and they certainly gave us our money's worth. They limit the number of passengers to 18 which means you are not overcrowded when get into the water. Wonderful family owned and operated business. Because they cater to smaller groups, participants get more snorkel time in the water than some of the large group charters. Our group was able to snorkel in five different areas with guides who were patient in teaching us what to do (it was our first time). They gave us interesting info about our snorkel sites and pointed out cool fish, starfish, turtles and an octopus during our outing.